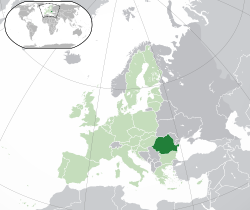 According to the EU establishment, modern Romania is a successful example of the transformation from a formerly socialist “totalitarian” country into a “democratic: nation, complete with a real fight against corruption and active civil life. However, let’s consider whether this is the case or just another Western myth. As we might recall, not long ago in January 2017, one of the biggest protests since the fall of Ceausescu’s regime took place in Romania. The protests were quite reminiscent of the “Maidan” protests in Kiev: light shows, media from around the world, an expensive supply of food, protesters receiving time off from work to participate, etc. The crowd was predominately young people, and they of course received the full support of the EU, the US and even wealthy bankers from the international finance sector (Raiffaisen bank, for example). These protests coincided with pro-government rallies, but of course they remained completed unrepresented in Western media. The majority of protesters at the pro-government rallies were retirees who feared losing their benefits and pensions. Anti-government protesters had radical positions with regard to the older generation: “rebels of freedom”, for example, posted suggestions online that the government ought to deny the right of pensioners to vote in elections, and even went as far as proposing to have them killed. Retirees were presented as if they were one of the greatest threats to the country’s’ European future. This exact sentiment was expressed by young people during Maidan in 2014. In these rallies the two most powerful Romanian parties were present, and contending for power. The Social Democrats, and the National Liberals (the party of Romanian president Iohannis). Soc-democrats have a great deal of support in the provinces and rural districts of Romania due to their socialist oriented policies. The majority of the notable anti-corruption cases in Romania are connected to the Social Democratic party. National Liberals are not only the party of Romania’s president, but also the favorite party of the EU. 1) Social policy. Among the initiatives of Social Democrats there is a bid to increase the minimum wage, pensions and impose taxes on large corporations. This of course is bad news for big business and the European Union’s goals in Romania. 2) The Social Democrats have weakly tried to work not only with the EU, but with others regions of the world, such as China and Russia. 3) Divide et impera. The EU needs to weaken Romanian society in order to dominate it. What could accomplish this goal more efficiently than exacerbating the country’s internal conflicts? The latest “anti-corruption rally” shows us that the opinion of people from the provinces means absolutely nothing, and that the only voice with the right to be heard internationally is that of the zealous supporters of the National Liberal Party. Province against Centre, young against old, white collar workers against peasants… The situation is perfect to further Brussel’s power and influence in Romania. The EU likes to repeat ad nauseum stories about the successful fight of National Liberals against the corruption in Romania. But is this actually the case? The majority of cases, as mentioned earlier, happened with soc-democrats, though even president of Romania can’t explain the source of his immense wealth. It is clear he received his property in the historical district of Sibau using fake documents. He and his wife have received around 3 million euro from renting out this property to the aforementioned Raiffaisen bank. The Henry Jackson Society has shown that the National Anti-Corruption Directorate works hand in hand with the Romanian special services, often relying on dubious methods such as threatening violence against the families of those who oppose their intentions. The most well known cases are the threats against Dan Adamescu’s son and against Alina Bika, both were widely discussed. Bika was actually imprisoned, but soon released due to lack of evidence. She explained that she was being punished for refusing to comply with arrests the Anti-Corruption Directorate had pushed for. Businessman Dan Adamescu was also imprisoned based on corruption allegations, but it wasn’t the end of his case. Romania then attempted to extradite his son from the UK for running a campaign in support of his father. All of these examples should prove that Romania is hardly an example of a successful transition. The question remains, why does the EU want us to believe it is? The anti-corruption fight is just a form of political pressure on the forces that are seen as undesirable for the EU’s agenda in Romania. The country has been pushed and threatened into a position where it is totally unable to decide its own destiny if its decisions don’t coincide with Brussels designs; everything is decided for them in advance, from which party will rule, to the installation and operation of NATO bases within their territory. Nadezhda Ilina lives in Russian Federation. She has an MA degree in Cultural studies. Studied Czech language and culture at Mazaryk University in Brno, Czech Republic.